So first thing first, Naida gets my copy of The Cruelest Month by Louise Penny. I may be doing a bit more weeding of the shelves so hopefully I’ll have some more books to pass on to you guys. In the meantime I’ve been in need of a good comfort read so tonight I’m planning to start The Uncommon Reader which most of you suggested after my post on my library finds. Thank you guys, I’m sure I’ll love it. This will be a short post as I’ve been doing a fair bit of running around today and want to crawl into bed with my book but I just had to leave you with this bookmark. Isn’t it great? I want one. Hope you are all having a great reading week and more book talk tomorrow. Great bookmark! I hope you enjoy your book and rest well! I can’t wait to hear what you’ll think of The Uncommon Reader. And ooh, that bookmark is adorable! Ah…a good comfort read. Sounds divine!! I love bookmarks. So much. But so do my daughers and they are forever stealing mine. Brats!! Of course, Ana just moved to an Advanced Readers group in her 2nd grade class. And they are allowing her to check out 5th – 6th grade level books (since that’s what her reading level is). So….I’m going let them steal! It makes her feel important to have REAL bookmarks in her library books. Bella too. (she’s in 4th grade and reads at close to 7th grade level). Can you say Proud mama??? Love that bookmark!! It would save me a lot of trouble. That is a GREAT bookmark! I simply lurv it! Cute bookmark! Enjoy your cozy time in bed with your book. Sounds so nice! Fabulous bookmark! Hope you had a nice evening snuggled in bed and reading! Great way to spend the evening! 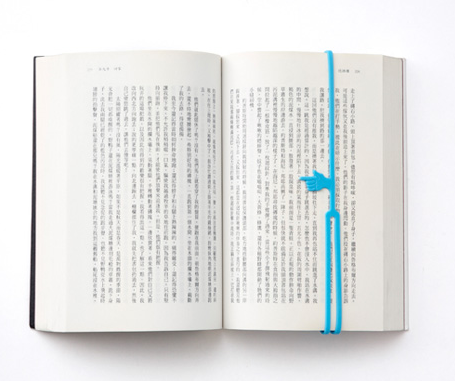 Cute bookmark…have a great time! happy reading, that bookmark is very cool.